Social media can be lauded as a platform on which individuals exercise their right to freedom of speech, while simultaneously and conversely, holding users accountable for the repercussions of their posts. 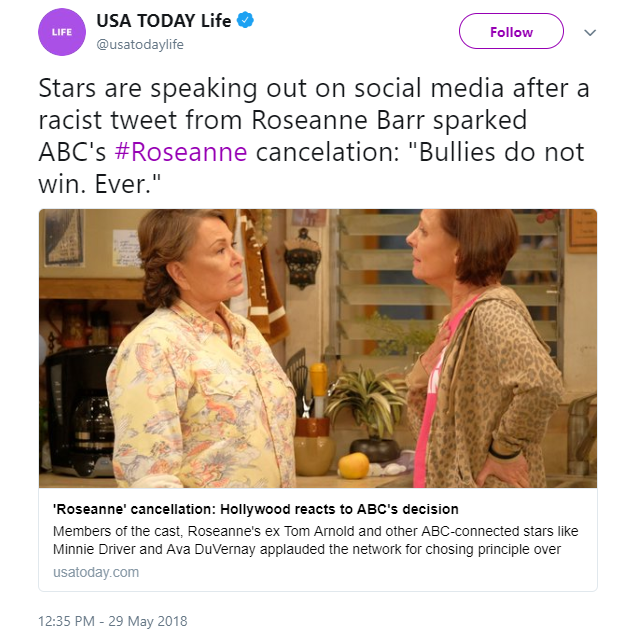 A recent incident highlighting the interplay between a social media presence and public accountability is the now famous tweet from Roseanne Barr. 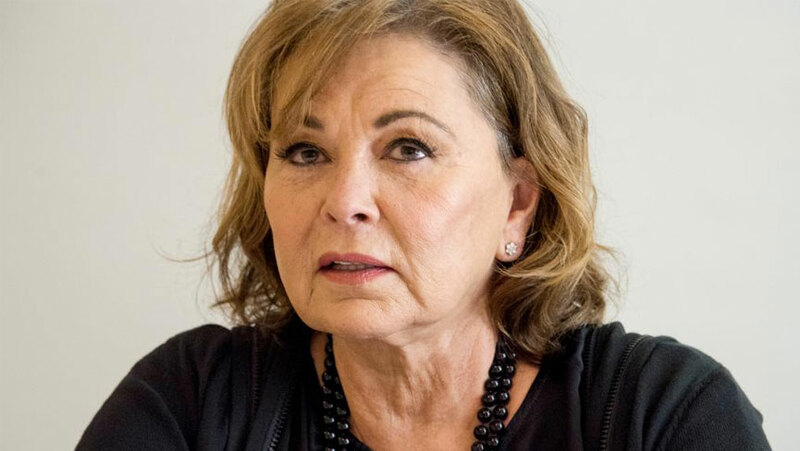 The racist tweet, regarding a former President Obama aide, caused high amounts of public outcry, resulting in the cancellation of the Roseanne sitcom, Roseanne’s deletion of the tweet, her public apology for the post, and consequent blaming of Ambien medication for the tweet. 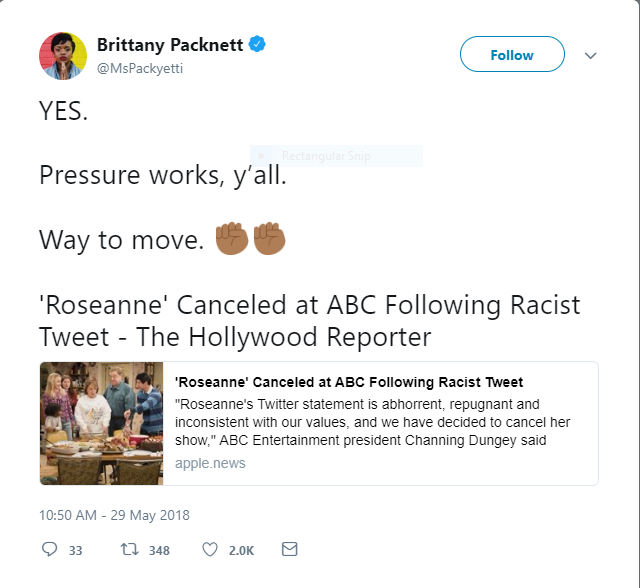 With upwards of 312k+ user tweets commenting on the post amidst high levels of negative sentiment, this issue generated high volumes of user response and outcry, as well as damage to Roseanne’s public persona. While accountability can be seen as the positive side of discriminatory social media posts, the beneficial lines are not as clearly drawn when historical posts resurface to haunt users. 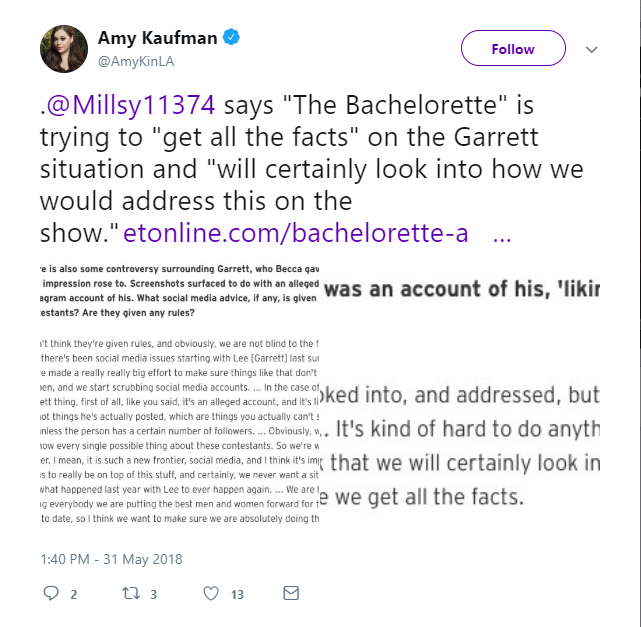 A recent example of this concerns a contestant on the US edition of The Bachelorette, Garrett Yrigoyen. As a popular reality dating show, The Bachelorette’s contestants receive high volumes of social media followers and views. Therefore, when a former participant on The Bachelor, Ashley Spivey tweeted calling attention to Garrett’s liking of historical social media posts mocking Parkland survivors, feminists, undocumented immigrants, and trans and queer children, the public were up in arms. 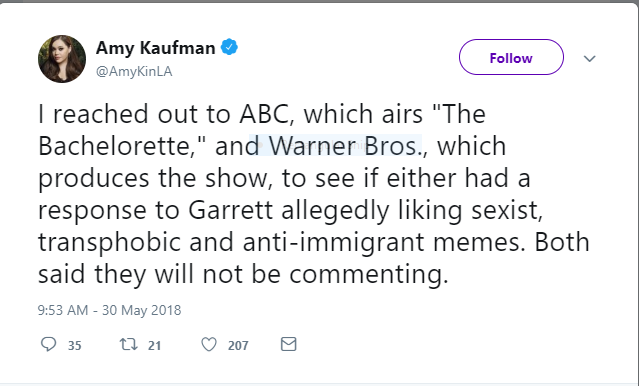 The incident was picked up by several media outlets, including Fox News, Huffington Post, Los Angeles Times, and BuzzFeed, and resulted in Garrett Yrigoyen’s public apology regarding his liking of the social media posts. 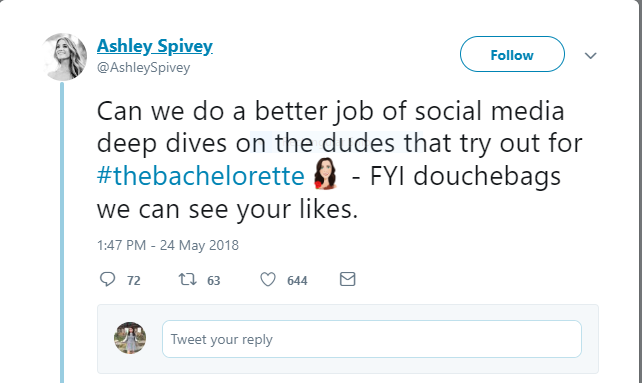 Former Bachelor contestant Ashley Spivey also called for “a better job of social media deep dives” on The Bachelorette contestants, reinstating a now widely accepted notion of scrutinizing a user’s social media profile for insight into their personality. 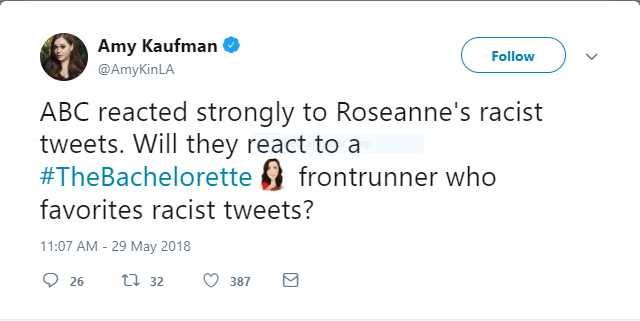 LA Times reporter Amy Kaufman links the Roseanne tweet and The Bachelorette’s Garrett incident, demonstrating the accountability for individuals in the public eye who post or support discriminatory views, indicating a need for exercising caution on social media in current times. With the high amount of volumes surrounding social media crisis situations such as the Roseanne tweet and Garrett Yrigoyen’s social media likes, there is an increased need for online monitoring solutions to help sift through the tangle-weeds of social media posts. With social media profiles accessible in the public eye, our actions online will increasingly be subject to scrutiny. And this can have a knock on effect for any corporate looking to engage with high-profile social media personalities. If your organization is considering using a personality to endorse your product or service, it’s critical their back history aligns with your values. Because if it doesn’t, a previous naïve or misplaced comment could have an effect on more than their own reputation – but on yours too.